New Mexico, like many other states, was loathe to allow out-of-state motorists to enter within her boundaries without paying registration fees on their vehicles and obtaining and displaying a local license plate in addition to their home state plate. The Sunshine State had a grace period which over the years varied in length, but was generally at least 30 days. The 1921 Tourist tag shown here was in use during that year for visitors staying longer. The 1932 Guest license plate was issued by the state, but it was not a requirement for visitors to obtain one; they were sold essentially as souvenirs for one dollar. 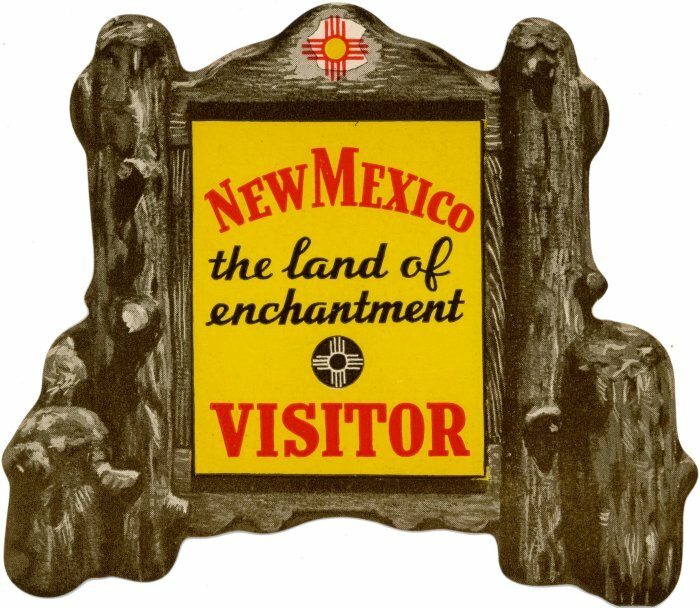 Visitor window stickers issued by the New Mexico State Tourist Bureau 1940-1956. Measuring 4¼" wide by 3¾" high, these stickers were issued as souvenirs with no requirement that they actually be displayed. They are known to have been included with mailings of Official New Mexico State Highway Department Road Maps, and were likely distributed individually as well. The front (multi-color) side of these stickers was essentially the same for all versions. 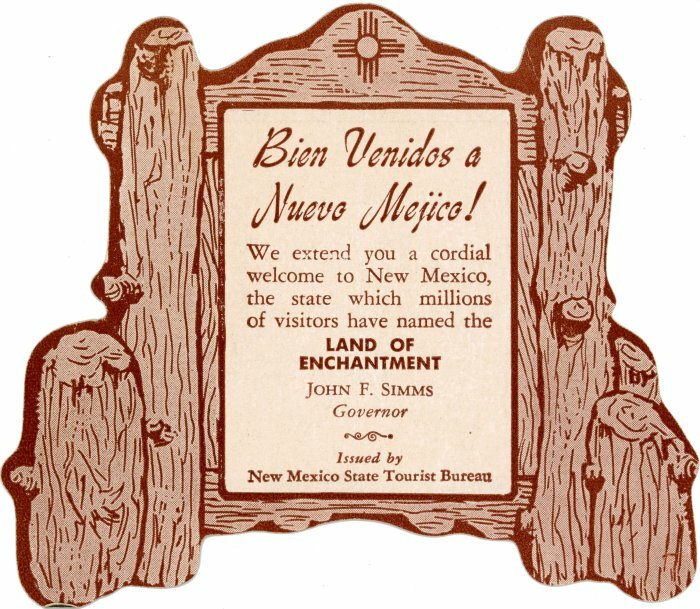 The back side contained different messages noting special events, conveying messages from New Mexico’s governors, and so forth. Photo credits: 1940, 1941-1945, 1947-1950, 1951-1954 stickers courtesy Scott Christensen. All other photos by Bill Johnston.